Los Angeles parents will get a simpler way to evaluate and compare schools, if a plan by three LA Unified school board members is passed next month that gives schools a single score or rating based primarily on student achievement and growth. 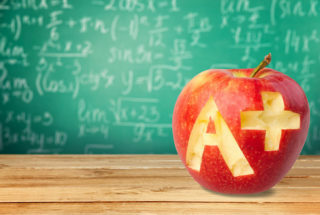 It’s been five years since the Academic Performance Index, which ranked California schools on test scores, was discontinued as the state developed its new school rating system, the California School Dashboard. But the color-coded grid has been criticized by parents and advocates as complicated and confusing. Like the dashboard, Los Angeles’s new rating system would incorporate a range of inputs, but each LA school would end up with a single score. The resolution, published Wednesday by LA Unified, will be introduced next Tuesday and voted on the following week at the April 10 board meeting. It is sponsored by board members Kelly Gonez, George McKenna, and Melvoin. The next step will be how to get those schools help. “The details will be worked out as part of the working group process,” Gonez said, including community feedback. Seth Litt, executive director of Parent Revolution, which along with Teach Plus has given guidance to the state on the importance of an overall quality rating for schools, praised the LA board members’ move. Melvoin, who has heard plenty of complaints about the state’s dashboard, said he hopes the state will follow Los Angeles’s lead. “The more nuanced and complicated the dashboard becomes, the less useful it is to parents,” he said. “We are taking it upon ourselves to be a good example. Maybe the state will look at its largest school district and decide” to do the same. He said the board members have been studying how other school districts help parents assess and compare schools, including Denver and Indianapolis. “I’m hoping we can do something that we don’t even see in other districts,” he said.